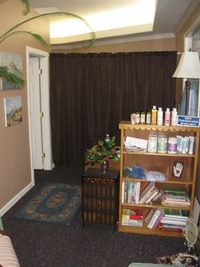 Joanne Mitchelle is a Licensed Massage Therapist with a compassionate touch. She is also licensed in Geriatric Massage. Located in Scenic LaConner. You will leave feeling good inside and out. Joanne has been working in LaConner since 2003. Joanne was the first massage therapist to work with hospice patients at Skagit Hospice where she helped them create a comfort therapy program. She has many years of training & work with people who have cancer, Alzheimer's, strokes, Parkinson's, & fibromyalgia as well as both terminally ill and surgery recovery patients. She is also a member of AMTA. Joanne is also CPR and first aid certified. Swedish relaxation massage: which improves circulation & increases relaxation. Deep Tissue / Therapeutic massage: focuses on specific areas to help release tight & sore muscles. A combination of techniques can also be chosen to benefit your healing process. All massages include hot rocks and hot towels. 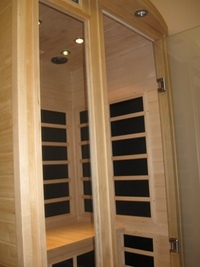 Up to 20 minutes free with 1 hour massage. I go every other week for an hour massage. "Healing Hands" says it all. I am 80 years old. Jo makes me feel relaxed, less anxious, and younger than my years. I always feel like I am being so well taken care of while I am getting a massage from Jo. 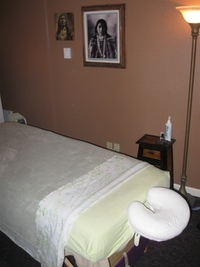 Jo is a sensitive, caring massage therapist. Blessed with wonderfully skillful hands. I would recommend anyone to her care. © Copyright 2008 Joanne Mitchelle. All Rights Reserved. Designed by Amiel Martin and Melissa Knowles.